Raymond Gavins is the author of The Cambridge Guide to African American History (2016). He is professor of history at Duke University. He is the author of The Perils and Prospects of Southern Black Leadership (1993), dozens of scholarly articles, essays, book chapters, and reviews. He co-edited Remembering Jim Crow (2001). 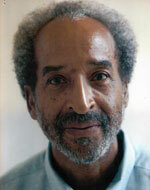 The co-recipient of the Oral History Association Distinguished Project Award (1996) and the Lillian Smith Book Award (2002), he received the John W. Blassingame Award for “distinguished scholarship and mentorship in African American history” (2008).